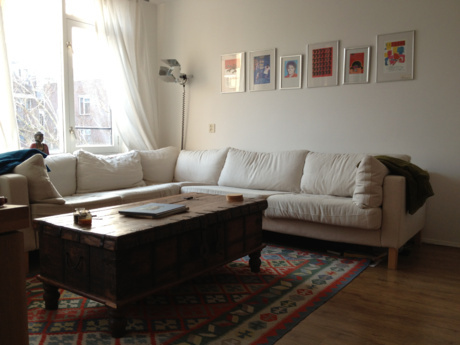 Comfortable spacious sunny appartment in Amsterdam (4 rooms), coveniently located! Comfortable, spacious and sunny apartment. Cozy and clean. Living- and dining room on south side, very sunny and light. Large bedroom with queen sized bed and a children's room with single bed. New kitchen (with all equipment) and bathroom, small but very convenient. Extra sofa bed in living room. Desktop computer with internet in dining room. Large balcony (7x2m), the whole day sun! Toys and games for kids available. Conveniently located, shops, supermarkets, public transportation all on walking distance. Public transportation not only within the city, but also buses to the beach and other places. Also walking distance from several parks (such us Westerpark with lots of cultural activities. Playgrounds; free tenniscourts; fitness center, swimming pool around. 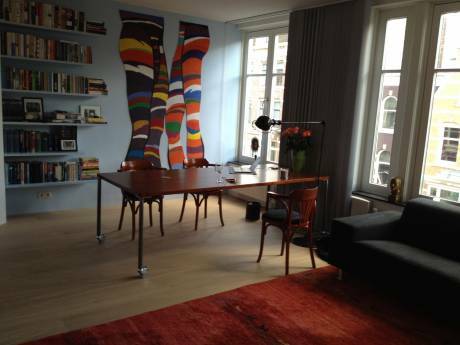 Amsterdam has plenty of interesting museums, theaters and cinemas, restaurants, clubs and cafés. Many festivals. Tram takes about 10 minutes to get to Dam square, Vondelpark and center of town. Parking space nearby available.